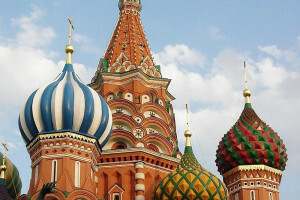 [check back for updates, including more links; links also posted to facebook and twitter]Johnson’s Russia List :: JRL 2019-#41 :: Wednesday, 13 March 2019 A project sponsored through the Institute for European, Russian and Eurasian Studies (IERES) at The George Washington University’s Elliott School of International Affairs. The contents do not necessarily represent the views of IERES or The George Washington University. JRL Home: russialist.org – JRL on Facebook: facebook.com/russialist – JRL on Twitter: @JohnsonRussiaLi Support for JRL is provided in part by a grant from Carnegie Corporation of New York to the George Washington University and by voluntary contributions from readers. TASS: Russian statistics agency points to population decline. Christian Science Monitor: Fred Weir, To make Russia great again, Putin is building roads and bridges. Why does Vladimir Putin remain so popular among Russians? One key reason: He is overseeing the construction of a better Russia in the form of new roads, rails, bridges, and other much-needed infrastructure. Foreign Affairs: Chris Miller, Can Putin Fix Russia’s Sputtering Economy? Why Stagnation Is the New Normal. AFP: Russia’s feared mafia leaders in ‘shock’ as Vladimir Putin shows who’s boss. Twitter: Michael McFaul, Comment re Maria Baronova. Vedomosti: Russian daily views ‘anthropological’ origin of fake news. Meduza: Public backlash prompts officials in Irkutsk to audit construction of bottling plant that would have exported Lake Baikal water to China. Intellinews.com: “Agro-superpower” Russia will harvest 118mn tonnes of grain in 2019, minister says. Moscow Times: Russia’s Natural Resources Make Up 60% of GDP. Interfax: Audit Chamber Chairman Kudrin in favor of mitigating sanctions through talks. Valdai Discussion Club: Sanctions as the New Normal and Political Determinism in US-Russian Relations. TASS: RBC: US Treasury to clamp down on Russia. www.rt.com: Opium poppy growth to become legal in Russia to counter possible Western sanctions. Moscow Times: Ben Aris, Boycotting the St. Petersburg Economic Forum Won’t Free Calvey. Putin can’t be viewed as caving into Western strong-arm tactics. TASS: Kremlin points to US missile-testing plans as proof Washington sought INF breakdown. Wall Street Journal: After Treaty’s Demise, Pentagon Will Develop Two New Midrange Weapons. Missile plans spark a debate over prospect of a new arms race with Russia and China. The Conversation: Stefan Wolff and Tatyana Malyarenko, Ukraine presidential election: young comedian leads polls, but country’s dangerous divisions are no joke. The Real News Network: As Ukraine’s Presidential Race Heats Up, Politics Shift to the Right. A brand new face entered the Ukrainian presidential race, promising to clean up the country’s corrupt politics, but the three main candidates are all pro-West and political discourse has moved to the right as the far-right continues to gain influence. Prof. Tarik Cyril Amar analyzes the situation. Interfax: Ukraine expecting 700 observers, 800 journalists to arrive for presidential election – State Border Service. The National Interest: Luke Coffey, Kazakhstan at the Crossroads. Political instability could open the door for either Beijing or Moscow to expand their influence in Astana. Washington Post: NATO members increase defense spending for fourth year in row following Trump pressure. DJ: Trump delivers yet again for Putin?